At any given moment, there are approximately a zillion different crowdfunding campaigns happening on the Web. Take a stroll through Kickstarter or Indiegogo and you’ll find no shortage of weird, useless, and downright stupid projects out there – alongside some real gems. We’ve cut through the Pebble clones and janky iPhone cases to round up the most unusual, ambitious, and exciting new crowdfunding projects out there this week. That said, keep in mind that any crowdfunding project — even the best intentioned — can fail, so do your homework before cutting a check for the gadget of your dreams. Developed by a team of MIT grads over the last four years, the Wave is essentially a wearable heater/cooler that leverages quirks in human physiology to “hack” the way your body perceives temperature. Note that last part. It’s important to know that Embr Wave doesn’t actually change how hot or cold your body is overall. Instead, it essentially convinces your body and brain into perceiving a slightly different temperature. Language learning apps are a dime a dozen these days, but if systems like Rosetta Stone, Duolingo, and Memrise aren’t doing the trick, then you might want to check out Fluent Forever — an innovative new platform that aims to improve the speed at which you learn languages by ensuring the things you learn stick in your head. 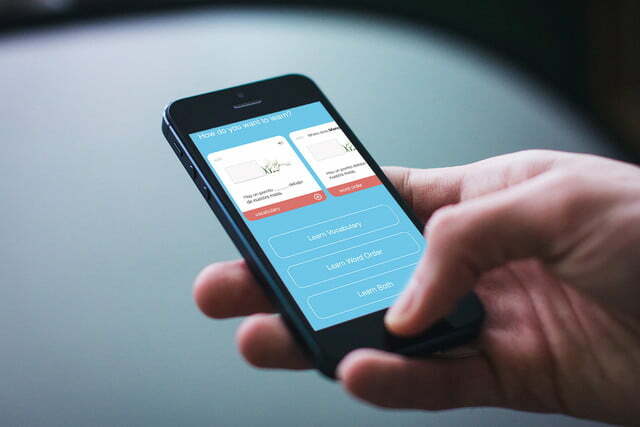 “Fluent Forever has always focused on memory as the primary barrier to language learning,” ceator Gabriel Wyner told Digital Trends in an interview. “Not grammar, not listening comprehension, but memory. According to Wyner, however, when we learn other languages, we don’t do this — which is why it’s easy to forget the words we pick up. It’s here that the new app aims to change things, with the assistance of some nifty flashcards and “ear-training” techniques. Through these, you’ll learn pronunciation, vocabulary and grammar, all in a way its creator says is far more effective than other apps. Can’t quite get the hang of skiing or snowboarding, but still want to hit the slopes and charge through waist-deep powder? Do you have an injury or a disability holding you back from standing upright? Then Swaky might be exactly what you’re looking for. 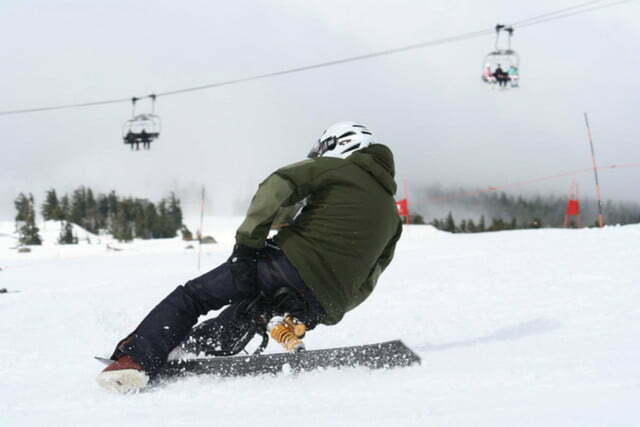 It’s essentially a kit that transforms your existing snowboard into something of a snow bike. There’s a seat, a suspension system, handlebars, and even a leash to keep it from running away when you inevitably fall off. The kit was designed by Japanese inventor and snow sport enthusiast Toshiyuki Sueki. Prior to designing and creating Swaky, Sueki was a professional snowboarder, until an injury in 2009 led to permanent immobilization of his ankle joints, thereby forcing him to retire from the traditional form of the sport. He invented Swaky as a way to return to shredding the slopes, working through a variety of bicycle seats, handlebars, and suspensions until he found the perfect ride. It’s also worth noting that Kickstarter just recently launched in Japan, and this project is one of the first from the country. Ever tried to accurately measure a small amount of liquid in a normal measuring cup? It’s damn near impossible to get it right. Why? Because due to the design of most traditional measuring cups, the smaller the amount, the harder it is to measure accurately. The main culprit is the shape — straight sides magnify errors when measuring lower down in the cup. 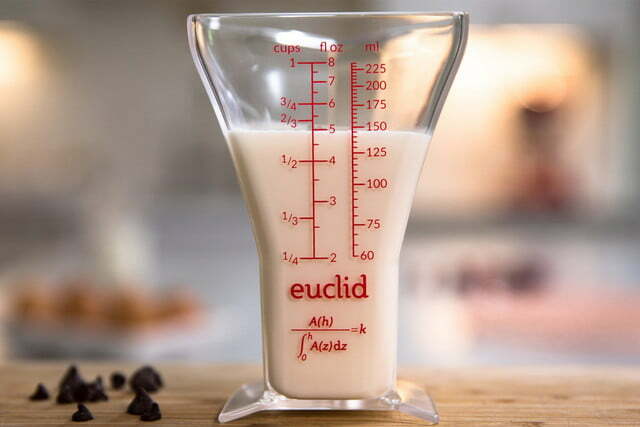 But not to worry — a nifty new kitchen tool called Euclid solves this problem with a mathematically optimal, tapered design that measures small and large amounts with equal accuracy. We’ve said it before, and we’ll say it again: humanity is living in the golden age of rideable technology right now. In the past few years, electric motors have become smaller and more powerful, and batteries have become considerably more power dense and affordable — two trends that have coalesced and kicked off a sort of renaissance in personal mobility devices. Nowadays, there are almost too many rideables to keep track of, and they seem to get crazier and more advanced with each passing month. Case in point? These strange new electric skates called Blizwheels. Conceptually, they’re a lot like Acton’s popular Rocket Skates, but with a slightly different design. 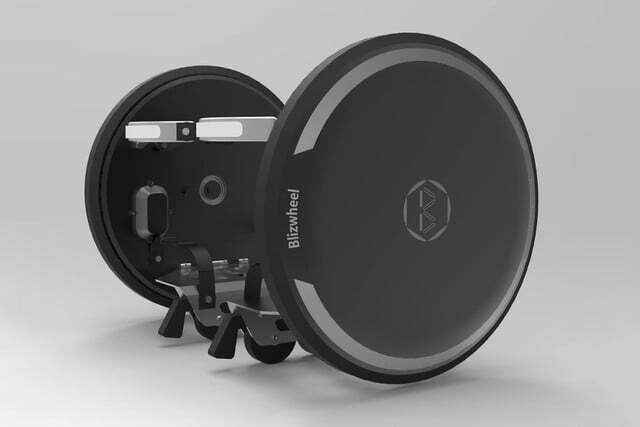 Instead of pushing you along with motorized wheels positioned on both sides of each individual foot, Blizwheel skates push you along with a single (and fairly large) powered wheel on each foot. These wheels are flanked by a series of smaller, unpowered wheels that sit under your foot, which makes it easier to balance and maintain stability. Acceleration is controlled with a unique actuator that increases power when you squeeze your index finger.